3 out of 5 based on 50 Ratings. 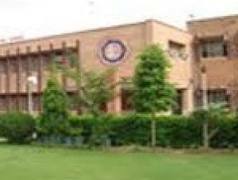 Jai Narain Vyas University also known as University of Jodhpur was established in 1962. The university recognized by UGC. This University has been accredited with "A" grade by the NAAC, this is the only residential university in the state of Rajasthan. The University has five academic campus occupying the mentioned land & constructed area, Jai Narain Vyas university also has well-stocked library and well equipped Workshops as well as laboratories.